Shell wouldn’t have to cap an oil spill for 21 days? Outrageous. How convenient - to be able to appoint someone with a lot of experience in the oil & gas industry. No grooming required. According to Harper's Rules there should be no conflict of interest in this (either the appointment itself or the drilling approval decision). You might need to sit down for this. We just learned that the agency approving Shell’s plans to drill off of Nova Scotia includes a former Shell executive appointed by Stephen Harper. Douglas Gregory worked at Shell for three decades, and even opened Shell’s exploration office in Nova Scotia. Yes, the same office that got the permit to drill off Nova Scotia’s coast. Let’s blow this issue out of the water and make sure the Petroleum Board never approves this project. Tell the Petroleum Board to refuse Shell’s application to drill off of Nova Scotia now! Canadian agency deciding Shell’s offshore drilling includes ex-Shell official, The Guardian, 27 August 2015. 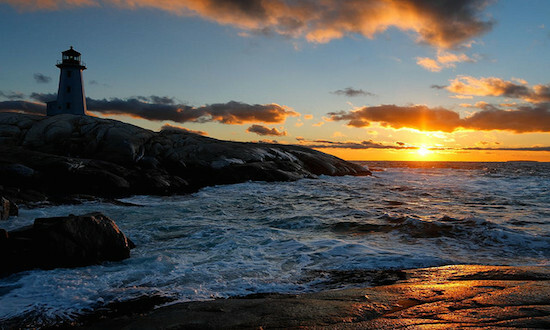 Canada has just given Shell permission to drill for oil off Nova Scotia — and to let any blowout go uncapped for 21 days. Let’s get the national regulator to refuse Shell’s application -- and keep the Shell out of Nova Scotia, Canada. This is Shell's dream. The Canadian government just gave it permission to drill for oil off Nova Scotia’s coast — and the company doesn’t need to cap an oil blowout for 21 days. Are they kidding? Shell will be allowed to freely spill oil into the ocean for three weeks, potentially wreaking environmental havoc on Nova Scotia’samazing marine life, major fishing grounds, coastal communities and the Sable Island National Park Reserve, the world’s largest breeding colony of grey seals. And it’s all so Shell can save a few bucks by not having to keep safety equipment nearby. The U.S. requires oil companies to have blowout-capping equipment on site within 24 hours.Canada is giving Shell three weeks to bring equipment in from Norway after a blowout happens 5,000 kilometres away. Shell is not only gambling with Nova Scotia, it recently got the go ahead to drill the Arctic, putting our entire ecosystem in danger and contributing massively to climate change. But we can still stop Shell in Canada — the Canada-Nova Scotia Offshore Petroleum Board (CNSOPB) still hasn't approved Shell's drilling plans. If our global community protests Shell's drilling Nova Scotia, we will send a signal that wherever it goes to drill and destroy, we'll be there too. Tell the Canadian Petroleum Board to refuse Shell’s application to drill in Nova Scotia. Shell wants to drill up to seven exploratory wells — which are especially risky and prone to large spills — off the coast of Nova Scotia in the next four years. If a blowout did happen, it would be catastrophic for Canada’s major fishing grounds. Haddock, lobster and crab stocks would be at risk, as would whales, dolphins, sharks, sea turtles and hundreds of species of migratory birds. When a spill happens, safety equipment would have to travel 5,000 kilometres or more just to cap the spill. And worse, some of the backup safety equipment is located in South Africa, a staggering 12,000 kilometres away. BP’s Deepwater Horizon disaster taught us just how devastating a prolonged blowout can be for wildlife, habitat and livelihoods. But some believe a blowout in Shell's wells in Nova Scotia, Canada could be even worse because the oil wells would be in much deeper water and a much harsher environment, and because of a lack of technological capability on Shell’s part. The SumOfUs community has stood up to Big Oil's destruction of the environment, and we’ve had a major impact. Hundreds of thousands of us came together to stop Shell from drilling in the Arctic, and to demand that Chevron pay for its crimes in the Amazon. Now, let’s stand together to keep Shell out of Nova Scotia. Tell the Canadian Petroleum Board: refuse Shell’s application to drill in Nova Scotia!